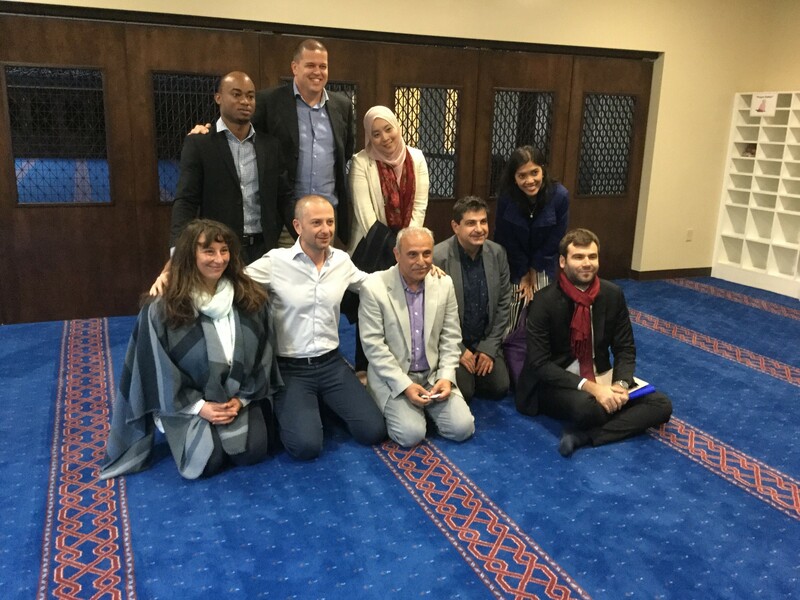 Strong Cities IVLP participants take a group photo with the Faith Community Working Group of Montgomery County. 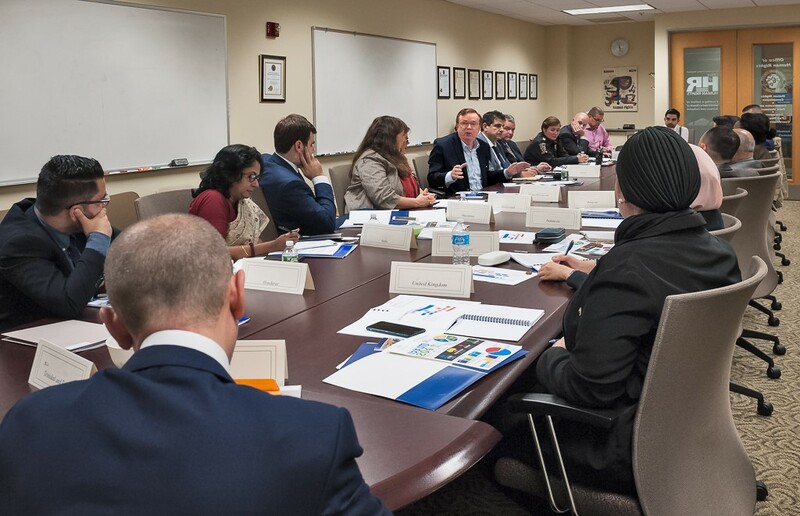 On Monday, November 6 Meridian International Center welcomed 18 visitors from around the world for a fourteen day long International Visitor Leadership Program (IVLP). The group, made up of a combination of city officials, local administrators, and non-profit leaders, participated in the program to facilitate knowledge sharing on building community resilience to prevent violent extremism. Through their national program, the participants would also analyze and examine emerging trends in addressing political grievances, explore the role of faith based and secular organizations in engaging youth, and examine leadership strategies to influence those who are susceptible to extremist ideology. In order to accomplish these objectives, the participants first convened in Washington, DC before splitting into two groups for separate travel to Louisville, KY and Chattanooga, TN. The group gathered again in Los Angeles, CA before completing their program in San Diego. 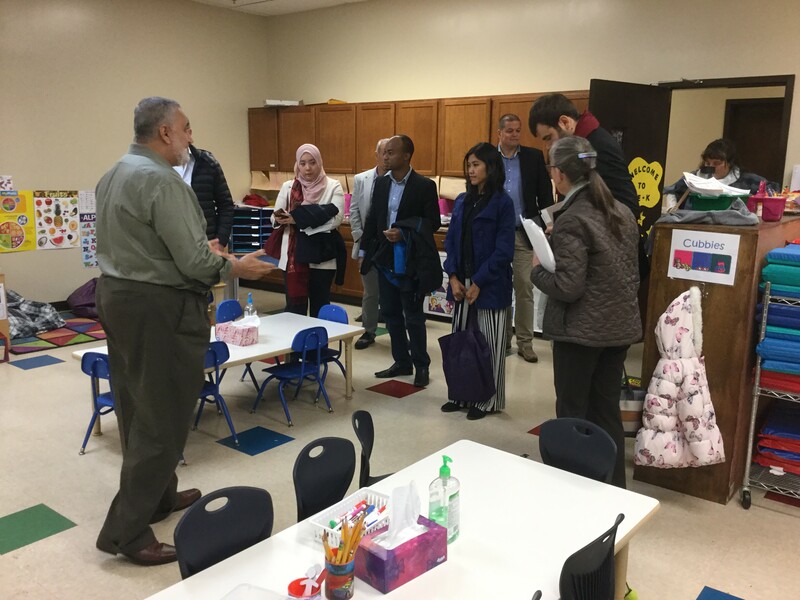 While in Washington, the participants were able to engage with the Faith Community Working Group of Montgomery County, where they met with council members and staff to discuss community-led interfaith efforts to increase public safety. Other highlights in Washington included a meeting with Mr. Paul Turner of Creative Associates International, a round table discussion with representatives from the Bureau of Counter-terrorism's Office of Countering Violent Extremism, and a couple of opportunities to share with one another. Highlights from the national program included a visit with the faculty of Annoor Academy and a meeting with Bridge Refugee Services in Chattanooga; programming at the ESL Newcomer Academy, a school which specifically caters to those entering into their first year in the U.S. education system, and the Muhammad Ali Center in Louisville; a meeting with Homeboy Industries and participation in the University of Southern California's Summit on Global Solutions in the Age of Homegrown Violent Extremism in Los Angeles; and discussions with faculty from the University of San Diego and a tour of the U.S.-Mexico border in San Diego.